Your company shares critical knowledge with employees all the time. But how much of that knowledge do they retain and truly engage with? 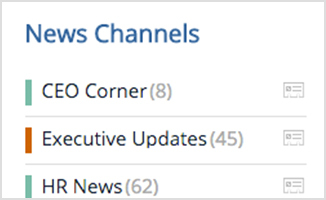 Unlike traditional corporate news, blogs are stories. And storytelling is a powerful way to get your employees’ attention. Leadership blogs communicate information from the top in a way that’s accessible. They connect employees to the executive team, increasing their investment in the topic at hand. On the flip side, employee blogs offer valuable insight into the strengths, priorities, and concerns of your workforce. Igloo makes blogging quick and easy. 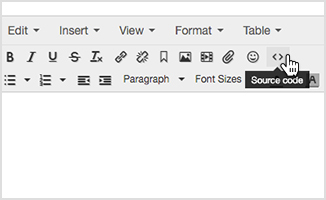 You can write, format, and edit in the browser – adding images and/or videos – using the WYSIWYG editor. If you prefer to work with the source code, you can do that too. Different stories are relevant to different people. Igloo lets you categorize blogs by audience or topic, so everyone can access the information they want and need. Depending on your preferences and your company’s culture, you can choose to review blogs before they’re published. 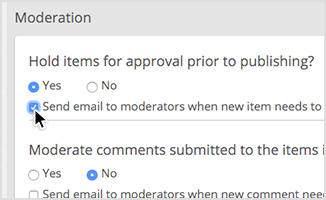 Moderators can edit posts or make recommendations in the comments. 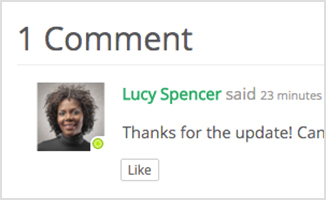 The comment feature allows you to centralize discussions in one easy-to-find place. 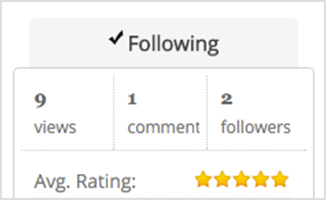 Plus, you can measure employee engagement with different topics through the ratings feature. You can choose to be notified the minute someone posts or edits an article. Or, you can change the frequency of notifications to daily, weekly, or monthly based on your preferences.